God warns the people against the possibility of punishment. Whoever accepts guidance does so for his own good; whoever strays does so at his own peril. No soul will bear another’s burden, nor do We punish until We have sent a messenger. When We decide to destroy a town, We command those corrupted by wealth (to reform), but they (persist in their) disobedience; Our sentence is passed, and We destroy them utterly. These two texts are from the Medina period, which is a period of conflict between warring tribes and between Jews and Muslim clans, in a rather complex set of loyalties. The Meccan texts, which are indicated by commentators at the head of each Sura, are ‘softer’ and given at a time when Muhammad and his followers were being attacked and persecuted. The Medina texts, which are indicated by commentators at the head of each Sura, are ‘tougher’ as they are set in a time of war when Muhammad had become a political as well as a religious leader. Our group was struck by how little mercy is being shown in these passages, but that is to be explained by the context of Medina. This is different from the Gospel texts that speak of Jesus bearing the sins of the world. The punishment for rejecting the messengers sent by God. (Messengers, including Jesus, son of Mary), this community of yours is one single community and I am your Lord, so serve Me. They have torn their unity apart but they will all return to Us. If anyone does good deeds and is a believer, his efforts will not be ignored: We record them for him. No community destroyed by Us can escape its return, and when the peoples of Gog and Magog are let loose and swarm swiftly from every highland, when the True Promise draws near, the disbelievers’ eyes will stare in terror, and they will say, ‘Woe to us! We were not aware of this at all. We were wrong.’ You (disbelievers) and what you worship instead of God will be fuel for Hell: that is where you will go. This community is not only the Muslim community but all who have had messengers sent to them, therefore all the People of the Book. This community may even include Hindus and Buddhists, to whom God also sent messengers, according to some Muslim scholars. Does this refer to the conflicts that occurred in Medina, when the Jews and Muslims were in conflict (the Christians were not much involved in this conflict)? On the wider level it suggests the hope of unity being restored to all Peoples of the Book. That unity is the moment of ‘return’. It does not seem to refer to idol worshipers and pagans or to such people as Hindus etc. Does this refer to the Day of Judgment? They said, ‘Shu’ayb, we do not understand much of what you say, and we find you very weak in our midst. But for your family, we would have stoned you, for you have no great status among us.’ He said, ‘My people, is my family stronger in your estimation than God? And have you put Him behind you? My Lord surrounds everything you do. My people, do whatever is within your power, and I will do likewise. Soon you will know who will receive a disgraceful punishment and who is a liar. Watch out, and so will I.’ When what We had ordained came about, in Our mercy We saved Shu’ayb and his fellow believers, but a mighty blast struck the wrongdoers. By morning, they lay dead in their homes, as if they had never lived and flourished there. The first part of this text recounts the story of Shu’ayb, who proclaimed the unicity of God even before the time of Muhammad, and was rejected by those who heard him but who refrain from killing him only because of his family connections. His retort contrasts their respect for his family with their lack of obedience to the message of God. Is his family more significant than God in their estimation? But God is the one who comes to his rescue. It is not his opponents’ forbearance than wins him his life, but God’s protection. These are put to death. They did not kill him, but God kills them. The prophet said, ‘My Lord, help me! They call me a liar,’ and so God said, ‘Soon they will be filled with regret.’ The blast justly struck them and We swept them away like scum. Away with the evildoers! We raised other generations after them – no community can advance or delay its time – and We sent Our messengers in succession: whenever a messenger came to a community they invariable called him a liar, so We destroyed them one after the other and made them into cautionary tales. Away with the disbelievers! (Remember) Qarun and Pharaoh and Haman: Moses brought them clear signs, but they behaved arrogantly on earth. They could not escape Us and We punished each one of them for their sins: some We struck with a violent storm; some were overcome by a sudden blast; some We made the earth swallow; and some We drowned. It was not God who wronged them; they wronged themselves. This episode seems to echo the ten plagues of Egypt. But there is a wider meaning: when misfortune happens, the wisdom of God is at work. God is not the one who punishes them; they have brought disaster on themselves. Such is the punishment of your Lord for towns in the midst of their sins: His punishment is terrible and severe. There truly is a sign in this for anyone who fears the punishment of the Hereafter. Strike the adulteress and the adulterer one hundred times. Do not let compassion for them keep you from carrying out God’s law – if you believe in God and the Last Day – and ensure that a group of believers witnesses the punishment. The adulterer is only (fit) to marry an adulteress or an idolatress, and the adulteress is only (fit) to marry an adulterer or an idolater: such behavior is forbidden to believers. As for those who accuse chaste women of fornication, and then fail to provide four witnesses, strike them eighty times, and reject their testimony ever afterwards: they are the lawbreakers, except for those who repent later and make amends – God is most forgiving and merciful. This word can also mean flogging. In the Jewish tradition the punishment is stoning. Note that the offending man and woman are treated in a similar fashion. Their equality is being stressed. This resonates with the equality that Jesus emphasizes in his texts on women. But by contrast, Jesus does not permit the stoning of the woman taken in adultery. (John 8:1 ff); he forgives her. On the other hand the flogging is reminiscent of the punishments of the lash that Jesus forecasts for those who neglect to do their duty. The mention of four witnesses seems to be a way of saying that it is impossible to convict a woman. How could one realistically find 4 witnesses? The text should be seen as a protection of woman. The requirement of four witnesses is an increase on the Jewish requirement of two or three witnesses. There are reminiscences here of the story of Chaste Susannah. The false accusation is punished severely. The rejection of their testimony is severe in a society where honour was all-important. However, there is a leniency clause. How this is leniency to be interpreted is the subject of debate in sharia law. Does this mean that such people are relegated to a caste outside the community, or is the whole sentence a general comment that adultery and idolatry do not belong to the Muslim community, “such behavior is forbidden to believers”. Notice the connection between adultery and idolatry. You who believe, fair retribution is prescribed for you in cases of murder: the free man for the free man, the slave for the slave, the female for the female. But if the culprit is pardoned by his aggrieved brother, this shall be adhered to fairly, and the culprit shall pay what is due in a good way. This is an alleviation from your Lord and an act of mercy. If anyone then exceeds these limits, grievous suffering awaits him. Fair retribution saves life for you, people of understanding, so that you may guard yourselves against what is wrong. The concept of fair retribution is examined here. The basic principle is “free man for the free man” etc., which echoes the OT principle of ‘eye for an eye, tooth for a tooth’ which is a softening of the more ancient custom of 7 fold vengeance for Cain (Gn 4:15) or 77 fold for Lamech (Gn 4:24). In contrast, the Gospel principle is to forgive 77 times. Retribution must be made, but there are ways of doing it. The brother may pardon, which shows the importance of family relationships and especially of the brother: note it is a brother, not a woman or a parent. This must all be done with a sense of fairness. There is no revenge killing. Retribution must be done and all must be fair. 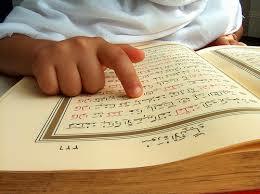 The Qur’an is bringing a sense of order and balance into a situation of hostility. Fight in God’s cause against those who fight you, but do not overstep the limits: God does not love those who overstep the limits. Kill them wherever you encounter them, and drive them out from where they drove you out, for persecution is more serious than killing. Do not fight them at the Sacred Mosque unless they fight you there. If they do fight you, kill them – this is what such disbelievers deserve – but if they stop, then God is most forgiving and merciful. Fight them until there is no more persecution, and worship is devoted to God. If they cease hostilities, there can be no (further) hostility, except towards aggressors. This Surah is a Medina text, uttered in the context of war and it should be understood in that context. It is notable for its moderation, “do not overstep the limits”. It has been widely misinterpreted, of course. The enemy must ‘wave the white flag’, and then there will be no further hostility. This is remarkable for the time and, as a general principle, calls for moderation in war. This has been misinterpreted as forcing people to become Muslim but it simply means that worship should return to the practice that was customary for the People of the Book (Muslims, Jews and Christians). Those who wage war against God and His Messenger and strive to spread corruption in the land should be punished by death, crucifixion, the amputation of an alternate hand and foot, or banishment from the land: a disgrace for them in this world, and then a terrible punishment in the Hereafter, unless they repent before you overpower them – in that case bear in mind that God is forgiving and merciful. What does this mean? This type of phrase has been used by groups such as Boko Haram or the Taliban to permit wholesale slaughter in response to the corruption they see in Western society. Other radical groups and individuals also speak out against political and financial corruption in the modern world. The list of punishments goes in lessening degree: death, crucifixion but not death, amputation, banishment, which is a profound punishment in an honour based society. “alternate hand and foot” would suggest not on the same side of the body. Here too is a mitigating clause, proclaimed on account of the mercy and forgiveness of Allah. If you (believers) have to respond to an attack, make your response proportionate, but it is best to stand fast. Here again the stress on is on proportion; nothing should be done in excess. We discussed what “stand fast” might mean. Does it mean that in facing an attack, even if the response should still be proportionate, it is necessary to win? Or does it mean that the person must accept defeat and endure it patiently? You can retaliate but it is better not to. Cut off the hands of thieves, whether they are man or woman, as punishment for what they have done – a deterrent from God: God is almighty and wise. But if anyone repents after his wrongdoing and makes amends, God will accept his repentance: God is most forgiving, most merciful. This text was given at the time when, in Medina, there was high availability of goods. The act of theft was all the more inexcusable in a situation where social justice prevailed as in Medina at the time of the Prophet Muhammad. This is clearly not for some minor act of theft, as unfortunately was the case when convicts were exiled to Australia for stealing just a loaf of bread to feed their children. Thus context is most important, and the correct implementation of a principle in particular circumstances is the main issue in this passage since punishment must be adapted to the times. Today punishment is understood to function as a deterrent. Amputation is no longer a possibility. Here again, as see we have seen so often in these passages from the Qur’an, men and woman are treated equally. Again mitigation – as we have seen several examples already – is allowed for and the question of amends would vary in each case and context. Believers should not be deceived when God postpones His punishment. (The disbelievers) also said, ‘God, if this really is the truth from You, then rain stones on us from the heavens, or send us some other painful punishment.’ But God would not send them punishment while you (Prophet) are in their midst, nor would He punish them if they sought forgiveness, yet why should God not punish them when they debar people from the Sacred Mosque, although they are not its (rightful) guardians? The first part of this text is the challenge made by the disbelievers. This echoes the challenge put to Jesus, ‘Give us a sign’. The fact that God does not send down stones must not be taken as an admission of His inability to do so, just as Jesus’ refusal to give a sign does not undermine the truth of his teaching. If God does not send punishment it is not because He cannot do so but because Muhammad is still in their midst. To rain stones on them would be to kill God’s own prophet. So Muhammad becomes a protecting figure like the ten just men in the story of Sodom and Gomorrah who would have prevented fire and brimstone coming down on the wrongdoers. Here we have the same mitigating clause. The disbelievers should not think that it is better for them that We give them more time: when We give them more time they become more sinful – a shameful torment awaits them. In the earlier text they are being given time. This text speaks of the misapprehension of disbelievers. They think that having more time will lead to a change of heart. This is an error since more time only provides disbelievers with more opportunity to commit sin.